All of the poems in this book seek to say what is true enough, what is truer even than proverbs are. Singer's proverbial insight, like Kafka's, describes the reality behind things, in a spare and stark place that is not for us. Reality, like a poem, is a corridor between dark and dark that leads at last to a 'true recess,' emptiness and void, 'not a soul in sight.' But still in the darkness there are circles of lamplight, places of rest. 'What but a desire to stay here would have made me come to this desolate place?' asks Kafka. 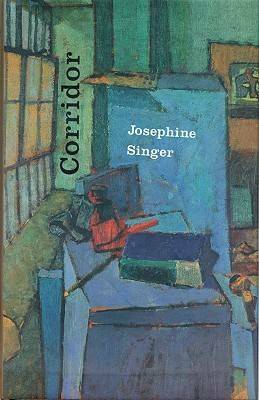 We too want to stay for a while, learn for a while, in the desolate places Singer shows us and of which she somehow manages to make a sojourn - a true enough home, even in the corridor. 'We were cheerfully discussing the effects of foreshortening. Party sounds tinkled all around. The end of the century was near, and the end of life, never that far away. How nice to speak prose in a time of peril. The pie gets bigger, as fewer of us remain to share it. Hello, pie: today we want to eat you up, it's a good day, and tomorrow is yesterday with a frisson. Give us our margin, whose shape is so clean and clear, simply the plain road leading on to its destination' - ""New Year"".